CRASH Space is within California’s 37th Congressional District, and our representative is Congresswoman Karen Bass. You can see more info about CRASH’s representation and how to locate your own on our wiki. This morning, as a part of the CRASH Space Civic Engagement Survival Guide, we attended a local meeting of Congresswoman Karen Bass’ Congressional Conversation Series, where she took time to meet with constituents and answer their questions. For those who are looking for ways to be more active in their local government and policy, this is a great place to get started. If you would like to be informed about when meetings like this are taking place in the future, you can join her mailing list. If you are local to CRASH Space, you can also join the Palms Neighborhood Council, which meets every first Wednesday of the month. KB: Yes, no question. She is concerned that the marches are planned for the day after the inauguration. The world’s media will be there day of, so that is when we need to be there. The world needs to understand that we are not happy with Trump. One problem she believes the Democratic Party has is that it only organizes around presidential elections. We need to be active throughout: doing voter registration, education, and engagement. The civil rights and anti-war movements started grassroots, and we need to go back to this method of organizing. She believes that this will be one of the most corrupt administrations in the last 200 years, and describes the new cabinet as robber barons. They became millionaires via foreclosures and reverse mortgages. She notes that Trump says they know how to make deals–That’s the kind of deals they know how to make?? The CEO of Exxon who is a candidate for Secretary of State has 500m deal with Russia which is blocked by sanctions. Him divesting isn’t enough. He will be Sec of State for 4 years, then will go back to Exxon. KB: She supports the sovereignty of native american nations, but is worried for them. Obama admin can cancel whatever they want, but Trump can come in afterwards and order whatever he wants. Why is Trump’s Family allowed to be so involved? KB: Trump brags about thumbing his nose to the rules. After JFK and RFK, the law was changed to not allow this. This is illegal. Ivanka cannot be on a payroll. But they can work around it. They’re billionaires. If Ivanka doesn’t take a payroll, that limits what we can do. Have Democrats lost the working class? KB: She says she does not think so. Look at the voter analysis. Hillary won by 2.7 MILLION+ votes. Hillary lost by a very small margin in 3 states. There was not a big upsurge of uneducated white folks voting for this man. Mitt Romney got more white votes than Trump did. She feels it is also worth noting that Hillary did not campaign hard in those states. We must take everything that Trump is doing every day and use it to educate the working people who thought that this man was not corrupt. His choice for Secretary of Labor does not believe in employees! He wants machines to build hamburgers. It’s our job to find these working voters who Trump is turning his back on, and bring them in. She reminds us: the electoral college is a relic from slavery. It was a compromise with the South. In some states, the enslaved Africans outnumbered the white folks, so they established the 3/5th compromise. KB: The actions of the FBI harken back to J. Edgar Hoover. Rogue FBI agents in New York behaved in an insubordinate fashion despite being told not to and start leaking information. Comey goes maybe something is here! and then Nevermind! Kb: She notes that there is an organized attack against Keith because he is Muslim. She has been in rooms where Ellison was told what the constituent said, and she is sure it’s hurtful for him to hear this. She notes that the process to elect the chair is in February. Several people are running now and she is sure more will join. What can we do in California? KB: She extends her gratitude that California is as far left as it is. She notes that it is good news for us that legislature here has already affirmed that it wants California to be as protected as possible in regards to immigration and education. But she points out that Federal law outweighs State law in many circumstances. And if we look federally, who will be Secretary of Education? Somebody who does not believe in public education. Why can’t we throw out the Electoral College? KB: That would take a constitutional amendment, which must be ratified by most of the states. We could possibly do that in a year in which the Democrats won, but it would be very hard to do in a time when we didn’t. KB: Over the next few years, we need to be organizing at the community level. We need help with voter registration, education, and engagement. 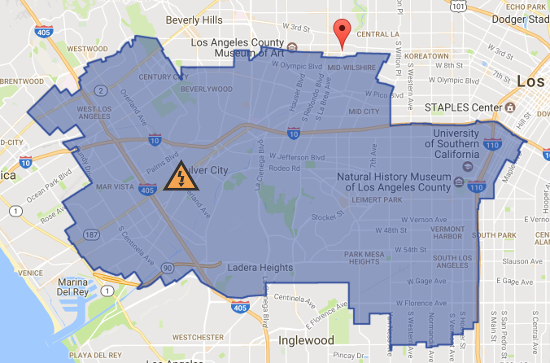 Also, we have a red area in north LA county / Ventura, so there is work to be done in CA. KB: EPA guy is from Oklahoma. Oklahoma never had earthquakes, and now they have them daily. We know this is because of fracking. But this guy’s claim to fame is suing the EPA. And it looks like they’re getting ready to witchhunt the staff by hunting down who has historically promoted climate change. It is clear that he is appointing heads of departments to have them destroy those departments. KB: LA is not officially a sanctuary city, according to our mayor. But we do cooperate along those same policy lines. LAPD is not supposed to question about immigration status. KB: Social Security is in danger. Medicaid, Medicare, and Obamacare are all in danger. When Bush 43 was feeling good, he went out and said he wanted to privatize Social Secuity and he went way down in the polls. So it is important for people to put out the alarm. Be very very strong about that. KB: She says: think about that. She’s more concerned about Pence. Pence is an Ideologue, along with Paul Ryan. Read Ryan’s A Better Way. He lays out his view of America. It’s Social Darwinism. KB: She is worried about DACA. Trump has gone back and forth on immigration. He says he’s not going to do anything, but then he has people like Sessions who are extremely anti-immigrant. She presses that we cannot take this for granted. The Million Woman March: Should marchers be afraid of terrorism or attack? KB: There will be a lot of security there. Always be cautious. A lot of people are emboldened now. There is a whole litany of actions of emboldened people that have been openly racist and hostile. She worries about the way that Trump conducted him campaign. We need to channel his hatred and fight that and use it to our advantage. KB: She says: You better believe I will resist. There is no question about that. She notes that she works very well with Republicans. Her #1 partner on child wellfare was a Trump surrogate and is on the transition team. When the Republicans control all of our government, they will move legislation very quickly. She will use this to her advantage to try to get amendments through that will help our people. Supreme Court Nominations: Can we stop them? KB: When Reid was in charge, we asked to change the rules and we did. Now it only takes a majority rule to confirm a supreme court seat. We do not have a majority, so we can only stop nominations with the help of Republicans. The Democrats cannot do it alone. KB: She does worry. Sessions is anti-immigrant. Do you think he’s going to prosecute police officers over police violence? A lot can roll back. What little remains of voter rights is threatened. KB: Trump wants to keep preexisting conditions, and to keep young people on insurance until they’re 26, but he’s not thinking about how you pay for that. And the way you pay for that is through the individual mandate. You can change parts of Obamacare, it just depends on what. She just finished up her 6th year. The Republican’s model was repeal and replace. She has been waiting on replace for 6 years, but a bill has never come forward. It’s possible they will repeal in 2022 to get past the next two elections first. Whether or not it will go into effect immediately, she highly doubts. KB: Cummings and Swalwell have put together a bill to call for commission to investigate foreign interference in our election. But leadership must support this, so we need to consistently demand and expose and educate people. People go into despair and they stop acting. We cannot do that. * We didn’t catch the introduction on film, and have a few spots cut out due to phone batteries dying. Great to see support from Congresswoman Karen Bass to CRASH Space to the fabric of LA and tech community. Activism is a must to bring change, and having a member from Congress explain methods to effect that change is a great resource to have. Keep up the good work CRASH Space and see you at next EFF event!